Copyright © 2012, 2013, 2014 Sports Picker and SportsBetLV All rights reserved. This site and its contents are the exclusive property of Sports Picker and are protected by copyright, trademark and other laws. You may use the information on this site and emails for your personal use ONLY. You may not reproduce, rebublish, transmit, distribute, display modify, create derivative works from, sell or otherwise exploit the information or contents of this site with out prior written consent. You may not under any circumstances, share, reproduce in print or by other means any information produced by Sports Picker. Doing so will result in the immediate termination of your subscription without refund. Sports Picker is committed to offering the highest level of service possible. If for any reason you are not satisfied with your purchase or subscription you may request a refund ore extension via email. Refunds will be issued up to 30 days after purchase for PayPal or up to 60 days after purchase for ClickBank payments. Refund applies to latest payment for monthly payments or latest 4 payments for weekly subscriptions. For season subscriptions after 60 days, win guarantee will be applied against a future purchase. Email infoATsports-pickerDOTcom for details. 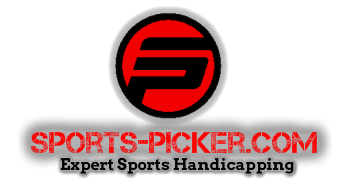 The Sports Picker service carries a 100% satisfaction guarantee. Meaning we guarantee our pick are high quality and provided a winning record on monthly subscriptions. If by chance you are not satisfied with the service on a weekly package you can request a refund which will be given. For monthly packages a customer can choose one of two options. A full refund for the previous month or a free extended month of service. Not both.